Comprehensive plan involving many ministries to solidify Israeli ties with Japan, as PM unveils alliance policy with Japan-China-India. A roadmap plan to radically strengthen economic ties with Japan introduced by Prime Minister Binyamin Netanyahu was approved by the Cabinet on Sunday, and paves the way for a strategic array of alliances with three Asian superpowers - Japan, China and India. "The State of Israel must vary the markets in which we are active. In the last two years, I have met with the leaders of China, Japan and India as part of a comprehensive policy of turning to major markets including Latin America and Africa," explained Netanyahu. The plan involves numerous government ministries and an investment of dozens of millions of shekels over three years. It capitalizes on ties advanced last year in Netanyahu's May visit to Japan, the signing of an Industrial R&D Agreement in July - the first such agreement Japan has signed, a visit last October by Japan's Deputy Foreign Minister, and an official Israeli delegation visit to Japan last November. As noted by Netanyahu, Israel has also increasingly been turning to India as a major military ally which in turn is shifting to give stronger diplomatic support as well. Israel has also been growing closer to China, with the two expected to hold Free Trade Agreement (FTA) talks in 2015 after signing a landmark agreement to push economic ties last May. Particularly as ties with Europe cool amid a wide-spread move to recognize the Palestinian Authority (PA) as a state and threaten sanctions, and as the US continues to show antagonism even reaching the point of reports of American sanction threats, there appears to be a growing desire for stable alliances with economic superpowers in Asia. In the new plan for advancing ties with Japan, holder of the world's third-largest GDP and a leader in technological innovation, Israel intends to increase exports by 50% by 2020, increasing exports to $1.1 billion per annum. Likewise, the government aims to increase the number of major exporters to Japan - namely those who export over $500,000 per year - to 33% by 2020, thereby making 210 such exporters. 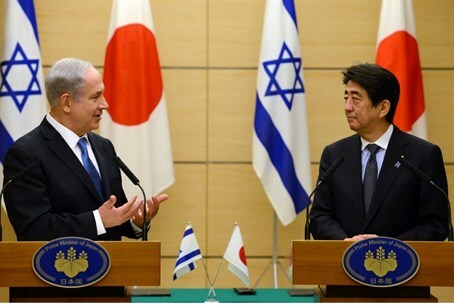 The plan approved on Sunday will call on a full range of Israeli ministries to actively strengthen ties with Japan. The Economy Ministry is to open a trade office in Osaka in addition to the existing one in Tokyo, and likewise increase the number of commercial attaches in Tokyo to strengthen Israeli business activity in Japan. It also is to expand the India-China Fund to include Japan. The plan will have the Finance Ministry advance negotiations to reach a bilateral agreement encouraging and protecting investments, while the Tourism Ministry is to develop plans to increase Japanese tourists by 45% by 2017 - a goal they have already started acting to reach with an anime promotion video. Capitalizing on the world-leading technology both Japan and Israel offer, the Science, Technology and Space Ministry is to increase joint research grants by 50% in 2015, growing ties between researchers with a particular focus on space cooperation. The Foreign Ministry is to carry out plans to have 500 young Japanese leaders visit Israel over the course of three years, having them visit for around a week while being introduced to Israel's economy, culture, administration and general life in the country. The Transportation Ministry is also to get in on the act, advancing cooperation on various transportation technologies and infrastructures with a focus on research and development; likewise the ministries of Health, Agriculture and Rural Development, Culture and Sports are all to get involved in bilateral cooperation, and additionally there is to be cooperation regarding alternative fuels. Following the decision on Sunday to implement the plan, a follow-up team led by the Foreign Ministry Director General will be formed to ensure the smooth advancement of the plan. After Netanyahu's visit to Japan last May, he issued a joint statement with Japanese Prime Minister Shinzo Abe establishing a new and comprehensive partnership between the two nations. Israel has not been effectively engaging the Japanese market up till now, with exports to Japan only at 1.3% of overall Israeli commercial exports even as the total exports to Japan in 2013 amounted to $720 million. Part of the issue is not enough diversification in exporters reaching out to Japan, with only 9% of exporters responsible for 75% of exports to Japan. A government statement issued with the Sunday decision notes that there is a demand in Japan for Israeli-made technology in various fields such as pharmacology and medical equipment, cyber and information security, agricultural technology, and green energy and the motor vehicle market. The decision to open a trade office in Osaka is meant to broach the flourishing industry in the Kansai region of Japan, which itself has a GDP of around $1 trillion, meaning if Kansai was a country it would have the 16th largest global economy. Israel has a ways to grow, as other similarly-sized countries are currently importing much more than the $720 million annual mark Israel has been achieving - Denmark imports $1.9 billion a year, while Ireland exports $3.5 billion a year to Japan.